On this day in 1953, Gil Turner won his bout against Johnny Lombardo at Eastern Parkway Arena in Brooklyn, NY with a seventh round stoppage. After reeling off 31 straight victories to start his pro career, Turner struggled through a 4-3 stretch - albeit against the likes of Kid Gavilan and Joey Giardello - leading up to the Lombardo fight. His prior bout was a thrilling Philly war with Giardello that went the ten round limit and packed enough action to fill a dozen main events. But Turner was no stranger to exciting fights. His style was one of pure action. He threw punches in breathless flurries and in doing so, was responsible for some of the most memorable fights of the 1950's. 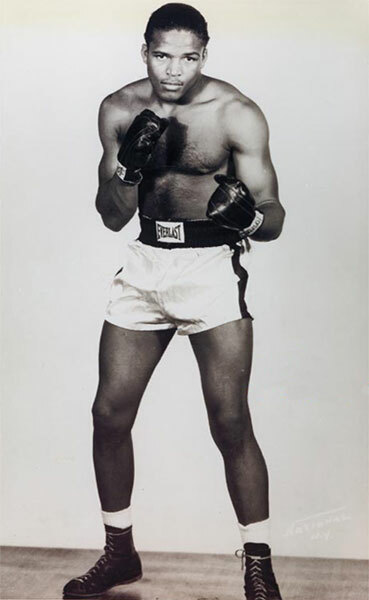 He was a popular TV attraction and fought all over the country but especially in New York and Philly. His career spanned from 1950 to 1958 and ended with a 56-19-2 (35 KO) record. He is probably best remembered for his gutsy close call for the world welterweight title in a 1952 bout with Kid Gavilan. Turner fought on even terms with the Hall of Famer until his dreams were shattered in round 11. Gil fought on but never again stepped into a championship ring.